At the Junction Box , coax inner connects to the antenna wire (blue) and braid connects to the brown wire and ground spike. For the on-going 2007 ARNSW Homebrew Group Challenge work I needed a simple 80 metre antenna. As a home-unit resident the size of a full half-wave is pretty impractical, but I decided to try it so I had a base-line to compare future shortened verticals to. 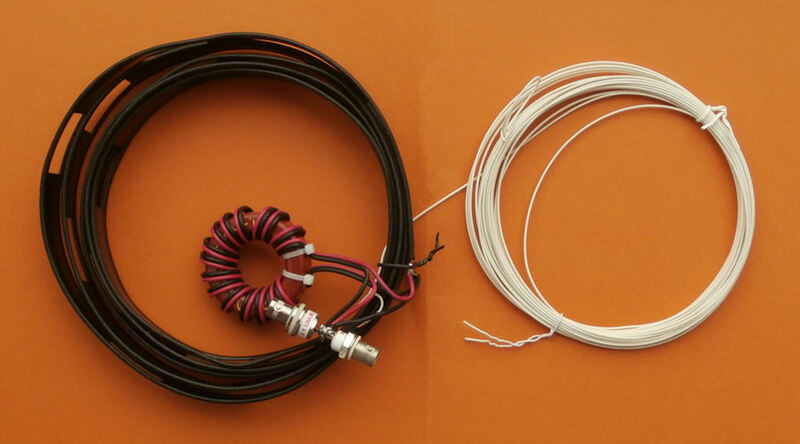 With the view to establish a quick and easy multi-band antenna deployment for portable and camping operations a simple long wire antenna with an earth or earth plus counterpoise arrangement with a 9:1 voltage unun including a tuner or simply with a tuner is one possible solution. As the name suggests, an "end-fed" antenna is just that: the radiating element is fed at one of its ends, instead of somewhere in-between its two ends (center-fed like a dipole, or off-center-fed).